Little PrimalTap, Software Delay/Echo from Soundtoys. 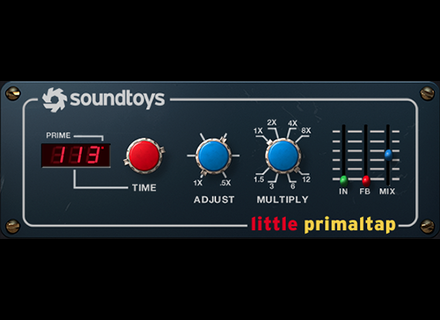 SoundToys' "Give a little, get a little" enters its third stage: this time, you are invited to name your price on the Little PrimalTap. SoundToys gives a new preview of its future release with a Little version of the PrimalTap plug-in, which is available for free.